THE EU has to put forward a mid-century zero emissions strategy by 2018, Environment Members of the European Parliament (MEPs) stated yesterday. The EU’s Environment Committee agreed on a series of recommendations to EU institutions and countries ahead of the COP23 meeting next November in Bonn. They call on EU leaders to implement the agreement with EU legislation and ratchet up the EU’s goals and policy instruments. One of the most effective tools for tackling climate change and reducing emissions is improving energy efficiency. The MEPs also express their disappointment at US President Trump’s announcement of his intention to withdraw from the Paris Agreement. “This decision represents a step backwards”, they noted, but they welcome the strong responses from governments around the world in favour of the full implementation of the Paris Agreement. The MEPs are calling for concrete EU and international commitments to deliver additional financing sources. Lending and investment practices should be in line with the well below 2°C target, including divesting from fossil fuels and phasing out export credits (i. e. financial incentives) for fossil fuel investments, they say. Also welcomed by the MEPs is the development of emissions trading systems globally, as 18 of them are in operation across four continents. They encourage the Commission to promote links between the EU ETS and other carbon markets, so as to increase climate ambition and at the same time help to reduce the risk of carbon leakage. 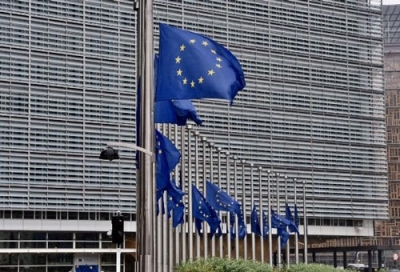 The goal of the Bonn Conference is to achieve “clarity on the design of the 2018 Facilitative Dialogue”, which will aim to take stock of governments’ efforts towards the long-term goal, MEPs say. A Parliament delegation will attend the conference.